Lecture series discount: Gene Siskel Film Center members pay discounted admission of $4 to any screening in the series Revolution in the Air: The Long Sixties. 40th Annual Student Academy Awards Regional Winners on April 30 is a free admission event but a ticket is required for entry into the theater. (CHICAGO) March 2013 - Spring in Chicago is just around the corner, and the Easter holiday is the perfect reminder. Spend your Easter having a delicious weekend brunch at Maxwell's at the Club, ride a bunny train at the Chicago French Market or venture into the North Shore for a sophisticated farm-fresh dinner at Prairie Grass Cafe. East Bank Club's resident eatery, Maxwell's at the Club (500 N. Kingsbury St., Chicago, IL; 312-527-5800), has planned a robust menu for Passover. Enjoy a lavish Seder Buffet complete with appetizers, entrées and desserts for Maxwell's Passover Dinner, 5:30 p.m. to 9 p.m. March 25. This traditional meal includes kosher wine and Haggadahs will be available for each table. The buffet features appetizers of Gefilte Fish with Beet Horseradish, Spinach and Strawberry Salad with Almonds, Roasted Beets with Kale Salad and more. Maxwell's signature carving stations of Braised Beef Brisket and Roast Turkey Breast also will be present. The spread also includes entrées of Lemon-Olive Roasted Chicken Breast with Potatoes, Noodle Kugel, Braised Pot Roast with Oyster Mushrooms and Zucchini Potato Pancakes. The dessert offerings are just as expansive as the main courses with Charoset, Macaroons, Matzo Baklava, Orange-Almond Flan, Flourless Chocolate Cake, seasonal fresh fruit and more. 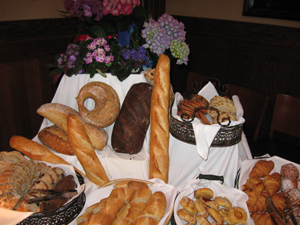 Maxwell's Easter Brunch also is an extensive buffet, available 10 a.m. to 3 p.m. on Sunday, March 31. As a special treat, the Easter Bunny will make an appearance from 11 a.m. to 1 p.m. Classic breakfast items such as bacon, French toast, and Eggs Benedict will be offered along with signature treats including Sour Cream Pancakes and Chicken and Apple Sausage. For those looking for a more robust breakfast, the carving station will feature succulent Roast Beef Prime Rib, Baked Ham and Roast Turkey Breast. If you are looking for something light, Maxwell's offers countless options, from Quinoa Salad with Cranberries and Walnuts to Shrimp and Edamame Salad. No matter what you are looking for, Maxwell's Easter Brunch will offer a memorable meal. These two holiday feasts will be available for $45 for adults and $15 for children 10 years and under. To make a reservation, call (312) 527-5800, extension 301, or visit maxwellsattheclub.com. Chicago French Market The Chicago French Market (131 N Clinton, Chicago, IL; 312-575-0306) features many vendors who will be celebrating Easter throughout March. City Fresh Market is having its third annual Chance to Win A Chocolate Easter Egg contest. Estimated to be 36 inches in height, the egg will provide 13 pounds of chocolate to the lucky winner; enter through March 28. Delightful Pastries is celebrating this Easter season by expanding its menu during March. New options include Lamb Cakes with Buttercream ($14 to $18), Bunny Rabbits Cupcake Baskets ($3.25), Mocha Chocolate Bundt Cake ($9.99), Rum and Raisin Yeast Babka ($7.49), Italian Ricotta Cheesecake ($20) and several seasonal pie options including Rhubarb Strawberry ($24). If you prefer savory items, Delightful Pastries has you covered with Lamb and Spinach Pies ($48), Asparagus Quiche ($40), Ham and Swiss Cheese Quiche ($40) and White Borsht Soup with Fresh Sausage ($6.99). To receive these delightful treats, orders must be placed by Tuesday, March 26 by emailing info@delightfulpastries.com or calling (312) 234-9644. For a unique experience, Fumare Meats will be offering Pascal Ham. These locally produced hams are 1 to 2 pounds each and follow the tradition of eastern Europeans packing baskets with foods, such as the ham, to be blessed at church. Bebe's Eatery will be celebrating Passover by taking catering reservations for their fresh and always kosher a la carte appetizers, soups, entrées and sides. All dishes are traditional in nature yet have a Bebe's spin. Orders can be picked up or delivered through March 22. Further honoring the holiday, Bebe's Eatery will be closed throughout Passover (March 22 to April 3). For families looking to add a new tradition to their Easter activities, guests can Hop the Bunny Train Saturday, March 23 from 11 a.m. to 1:30 p.m. The fun-filled ride will be followed by an Easter Egg Hunt from 1:30 p.m. to 2 p.m. Complimentary samples from an assortment of vendors will be offered throughout the day. Additionally, get a chance to meet the market's special guest, the Easter Bunny. For those looking for the perfect brunch spot in the suburbs, Prairie Grass Cafe (601 Skokie Blvd., Northbrook, IL; 847-205-4433) will be a great place to spend the holiday. 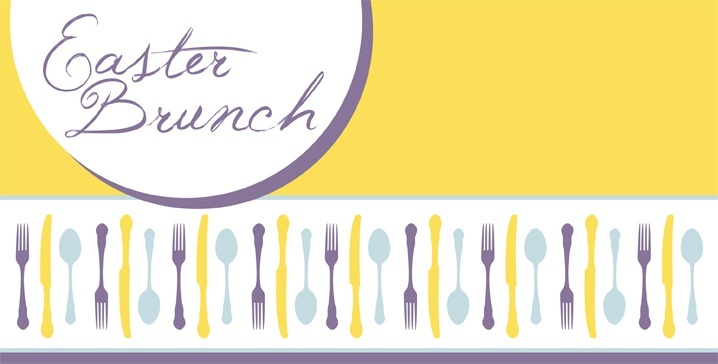 Easter Brunch begins at 10 a.m. and continues until 2 p.m. March 31. Chefs Sarah Stegner and George Bumbaris will serve a scrumptious Easter Brunch featuring their Signature PGC Benedict along with a generous and delicious buffet. The brunch includes made-to-order omelets available in a range of toppings such as: homemade crumbled Maple Creek Farm Chorizo, poblano peppers, spring onions, mushrooms and more. Prairie Grass Cafe's puts its own spin on traditional brunch favorites with the Applewood Smoked Maple Creek Farm Bacon, Honey Glazed Bone-In Ham and Deviled Farm Eggs. The house moussaka, with layers of eggplant, potato and braised lamb topped with béchamel sauce also is available. Additionally, crab cakes, fresh salads and a mix of breads complete the spread. To end on a sweet note, the dessert buffet features sliced fruit, Mom's Homemade Banana Cream Pie and a Crêpe station with two sweet filling options. Price for adults is $45 and $15 for children under 10 years. POP/R&B SINGER HOLLY MCGUIRE...DANCE PARTY @ 12WEST...THURS MARCH 21...8 - MIDNIGHT! 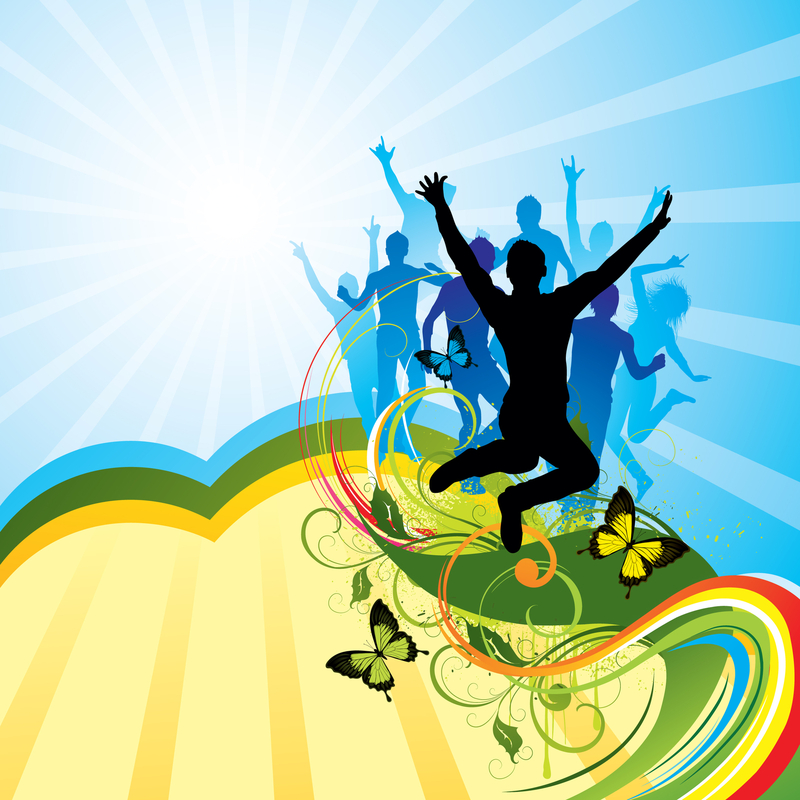 PUT YOUR DANCIN' SHOES ON! Dance the night away with...the songs of Stevie Wonder, Aretha Franklin, Tina Turner & Patti LaBelle & MORE! Roberta Flack and another Chicago sweetheart, Judy Roberts. Get down with Holly & her band, Peter Polzak, piano; Chris Clemente, bass and Tony Colucci on drums. GET DOWN & GET READY FOR SOME EXCITING SURPRISES! Wicker Park upscale sports bar The Fifty/50 (2047 W Division St) will show all of the March Madness games on its 20+ flatscreens with sound and will feature drink specials from open to close every date an NCAA men’s basketball tournament game is played. In addition to the above drink specials, The Fifty/50 will also have $2 domestic beer bottles on special from open to close for the National Championship Game on Monday, April 8. For more information please contact Dave Andrews of Good Life PR at dave@goodlifepr.com and 847.909.5511. About The Fifty/50: Dining scene vets Greg Mohr and Scott Weiner co-own this Wicker Park tri-level restaurant and 20+ flatscreened upscale sports bar with a 65-seat outdoor patio that was recently voted the best sports bar in America by Yahoo! and Thrillist and was also named best sports bar in the country by Maxim magazine. Open for lunch, dinner, and weekend brunch, The Fifty/50 specializes in fresh, scratch-made elevated comfort fare ranging from its “The Four-Courser” featured on “Adam Richman’s Best Sandwich In America”, to its the tri-meat blended “The Triple Secret Burger”, to its massive chicken wings recently voted “Best Wings In Chicago” by RedEye, Metromix, and WGN that are also served in the bleachers at Wrigley Field during Chicago Cubs games. The Fifty/50 is also known for its 24oz cocktails served in red “keeper” cups and irresponsibly low-priced bottle service. Located at 2047 W Division St (773.489.5050), The Fifty/50 is open 11am-2am Monday thru Friday, 10am-3am Saturday, and 10am-2am Sunday. Additional info, full menus, and complete booze lists available at http://www.TheFifty50.com/. Roots Handmade Pizza will team up with neighboring bars High Dive and Cleo’s to throw two St. Patrick’s Day parties from open to close on Saturday, March 16 and Sunday, March 17. Roots (1924 W Chicago Ave), High Dive (1938 W Chicago Ave), and Cleo’s (1935 W Chicago Ave) will all feature $4 Jameson shots from open to close on both dates. There will also be St Patrick’s Day swag giveaways at all three bars on both dates. BIG FISH is directed and choreographed by five-time Tony Award® winner Susan Stroman (Contact, The Producers, The Scottsboro Boys), music and lyrics by Grammy and Tony Award® nominee Andrew Lippa (The Wild Party, The Addams Family) and a book by Grammy and BAFTA Award nominee John August (Frankenweenie, Charlie and the Chocolate Factory). featuring Ryan Andes, Ben Crawford, J. C. Montgomery, Tony Award® nominee Brad Oscar, Kirsten Scott, Sarrah Strimel and Katie Thompson, BIG FISH has a cast of 27 that includes Preston Truman Boyd, Alex Brightman, Bree Branker, Joshua Buscher, Robin Campbell, Bryn Dowling, Jason Lee Garrett, Leah Hoffman, Synthia Link, Angie Schworer, Lara Seibert, Tally Sessions, Cary Tedder and Ashley Yeater. BIG FISH will have its pre-Broadway world premiere at Chicago’s Oriental Theatre (24 West Randolph Street) in a limited 5-week engagement beginning performances Tuesday, April 2, 2013, opening Friday, April 19, 2013, and playing through Sunday, May 5, 2013. Tickets for the Chicago engagement are onsale now. BIG FISH has scenic design by Drama Desk and Outer Critics Circle Award winner Julian Crouch, costume design by five-time Tony Award winner William Ivey Long, lighting design by two-time Tony Award winner Donald Holder, sound design by Los Angeles Drama Critics Award winner Jon Weston, projection design by Drama Desk Award winner Benjamin Pearcy for 59 Productions, musical direction by Mary-Mitchell Campbell, orchestrations by Larry Hochman and dance arrangements by Sam Davis. BIG FISH is produced by Dan Jinks, Bruce Cohen and Stage Entertainment with Roy Furman, The Nederlander Organization, John Domo and Broadway Across America in association with CJ E&M, Parrothead Productions and Columbia Pictures. A rollicking fantasy set in the American South, BIG FISH centers on the charismatic Edward Bloom (Butz), whose impossible stories of his epic adventures frustrate his son Will (Steggert). As Edward’s final chapter approaches, Will embarks on his own journey to find out who his father really is, revealing the man behind the myth, the truth from the tall tales. Overflowing with heart, humor and imagination, BIG FISH is a tribute to the power of family, dreaming big and the unpredictable adventure of life itself. Anke Loh, Sage Chair in Fashion Design at the School of the Art Institute of Chicago (SAIC), announces Fashion 2013, the school’s 79th annual fashion show. Presented Friday, May 3 three times throughout the day on Millennium Park’s Chase Promenade, Fashion 2013 will culminate with THE WALK—SAIC’s annual benefit supporting the production of student work and scholarships—at 5:30 p.m. This year, THE WALK celebrates fashion designers Kate and Laura Mulleavy of Rodarte with the Legend of Fashion Award, as well as constant supporter of SAIC, Melissa Sage Fadim, with the Heart of Fashion Award. Fashion 2013 presents an electrifying runway show featuring more than 300 original garments created by undergraduate students in SAIC’s internationally renowned Fashion Design program, which boasts such distinguished alumni as Halston, Cynthia Rowley, Maria Pinto, Gary Graham, J. Morgan Puett and Lawrence Steele. Students and faculty work to create a truly professional fashion runway show—stunning design, intriguing soundscapes, exquisite garments, and cutting-edge looks—by incorporating and combining techniques from the fields of sculpture, performance, design, technology, architecture and installation. Seniors in SAIC’s acclaimed Department of Fashion Design will showcase complete collections of five looks; juniors will show a three-look collection; and sophomores will present one avant-garde look. “Our strong team of faculty and students inspires us to advance, take more risks and follow unusual directions in order to break through to new territory,” said Associate Professor Anke Loh, Sage Chair in Fashion Design. “We are poised and ready to continue to experiment with our individual and collective inquiries into fashion, body, and garment. More than 50 models from Factor Runway will showcase designs as they walk down a 90-foot runway inside a 15,000-square-foot tent on Chase Promenade, a three-block-long walkway centrally located in Millennium Park. Hairstyling is provided by ULTA; make-up services are provided by Maybelline New York. Fashion 2013 is produced and directed by SAIC faculty member Conrad Hamather, Graduate Coordinator of the Master of Design in Fashion, Body and Garment program, with talent direction by fellow SAIC faculty member Shane Gabier, an SAIC alumnus and co-founder of the clothing label Creatures of the Wind. Tickets for Fashion 2013 ($40–$75) will be available March 20 online only at saicfashion.org and available at the door on May 3. Fashion 2013 culminates with THE WALK, SAIC’s annual scholarship benefit held in conjunction with Fashion 2013. Co-Chairs, SAIC Board of Governors member Stephanie Sick and SAIC Fashion Committee member Roopa P. Weber, are thrilled to honor Kate and Laura Mulleavy of Rodarte with this year’s Legend of Fashion Award, given for outstanding contributions in the fashion industry. THE WALK will also honor Melissa Sage Fadim with the Heart of Fashion Award for her 25-year commitment to SAIC’s Fashion Department. The evening begins with a 5:30 p.m. cocktail reception in the Millennium Park Chase Promenade followed by THE WALK at 6:30 p.m., which includes the runway show featuring SAIC student collections, the presentations of the Legend of Fashion and Heart of Fashion awards as well as significant student scholarships, awards and coveted fashion industry internships. Immediately following THE WALK, guests will enjoy a strolling dinner at the rooftop terrace of Millennium Park’s Harris Theater. Individual tickets for THE WALK are $500–$1,000. Tables are $5,000–$25,000. To purchase tickets or for more information, call 312.499.4190. Fashion 2013 is made possible in part by presenting sponsor Swarovski, returning for its third consecutive year of support. Kate and Laura Mulleavy founded Rodarte in 2005 in Los Angeles, California and are now “the most celebrated American designers working today” (The New Yorker). They have won numerous awards and accolades, including the CFDA Womenswear Designer of the Year in 2009 and the Cooper-Hewitt National Design Award for Fashion, and were nominated for Best Costume Design at the 16th Annual Critics Choice Movie Awards for their work in Black Swan. In 2009 Rodarte was the first fashion house to be awarded a United States Artists Grant, and in 2010 Rodarte was awarded the National Arts Awards’ Bill and Maria Bell Young Artist Award. In March 2011 Rodarte’s first West Coast exhibition Rodarte: States of Matter opened at the Museum of Contemporary Art, Los Angeles. In December 2011, The Los Angeles County Museum of Art (LACMA) debuted its exhibit, RODARTE: Fra Angelico Collection, a collection of couture gowns inspired by frescoes painted by the early Italian Renaissance artist Fra Angelico (c. 1350-1455). Rodarte’s work is featured in the permanent collections of the Costume Institute of the Metropolitan Museum of Art, Museum of Fine Arts, Boston, Los Angeles County Museum of Art, and the Museum at the Fashion Institute of Technology in New York City. International icons including Cate Blanchett, Natalie Portman, Keira Knightley, Kirsten Dunst, Michelle Obama, Chloë Sevigny, Tilda Swinton, Dakota Fanning, Elle Fanning, Maggie Cheung, Scarlett Johansson, and Reese Witherspoon wear the Rodarte label. In 1989 Melissa Sage Fadim established the SAIC Fashion department‘s first endowed chair position and generously funded the Sage Studios located in the Louis Sullivan–designed Carson Pirie Scott Building, now known as the Sullivan Center, which also houses the Fashion Resource Center. She has been at the helm of her family's Sage Foundation for two decades and is also a producer for several films, and serves on various boards and committees throughout Chicago. 9 a.m. is a general admission dress rehearsal. Tickets are $40. 12 p.m. and 3 p.m. shows are general admission seating. Tickets are $75. Tickets to the 9 a.m., 12 p.m., and 3:00 p.m. shows go on sale March 20. Tickets will be available online only at saicfashion.org and available at the door on May 3. THE WALK is generously supported by Presenting Sponsors Swarovski and the MacLean-Fogg Company. Additional support is provided by: Haute Couture Sponsors Ariel Investments, Maybelline New York, and ULTA; Avant Garde Sponsor Exelon; and Prêt-à-Porter sponsor Mesirow Financial. CS Magazine is the Exclusive Media Sponsor. Park Hyatt Chicago is the Exclusive Luxury Hotel Sponsor. Wednesday, April 3, 6 p.m.
Moderated by Anke Loh, SAIC Sage Chair in Fashion Design, and Zoe Ryan, Chair and John H. Bryan Curator of Architecture and Design at the Art Institute of Chicago, this panel discussion will explore the interests, motivations, and inspirations of five influential Antwerp-based fashion and design professionals. The participants will discuss their strong history of collaboration, the importance of geography and developing a “fashion empire,” and the role of fashion as a powerful axis for cultural innovation. A presenting sponsor of THE WALK 2013, Swarovski, the leading designer of crystal fashion jewelry and accessories, will extend its partnership with SAIC past the runway for the second year. Students and faculty from SAIC’s Master of Design program in Fashion, Body, and Garment, under the direction of Nick Cave, will use Swarovski’s signature jewels to create and install a window display at the flagship boutique (540 N. Michigan Avenue) in celebration of their “Passport to Sparkle” spring/summer campaign. Combining principals of sculpture, architecture, design and fashion, students will have the incredible opportunity to expose their creations at the boutique April 15 – May 5. In addition, Swarovski will pick one student from the Fashion Design program to incorporate the signature jewels in their garment which will be worn during the runway show on May 3. The School of the Art Institute of Chicago’s Fashion program provides a creative and intellectual context in which the nature and potential of fashion is closely examined and reimagined. Uniquely situated within a vibrant contemporary school of art and design, SAIC’s Fashion department offers undergraduate, graduate, and post-baccalaureate fashion programs that build on the connections and relationships between art and fashion that have been evolving in the past century and that reach an unprecedented level in contemporary practices today. SAIC’s Fashion program is housed within the Sage Studios for Fashion Design located in the historic Carson Pirie Scott building. The 25,000-square-foot studio space includes the Fashion Resource Center—celebrating its 25th anniversary this year—a hands-on collection of late-20th- and 21st-century designer garments and accessories representing extreme innovation, which allows SAIC students the opportunity to explore the most progressive achievements in the world of dress and fashion. Shaw’s Crab House in Chicago welcomes Mouton Noir Winemaker and Owner, André Hueston Mack, for a very special four-course dinner featuring the wines of Mouton Noir on Monday, March 18, 2013. There will be a welcome reception at 6:30 p.m. and the first course will be served at 7:00 p.m. The price for the evening is $80 per person (excluding tax and gratuity). Reservations are required and can be made by calling Kate Van Fossan at 312.527.2722. Mouton Noir is a two-fold lifestyle project producing both a T-Shirt line and Oregon wines. Founded by sommelier André Hueston Mack in 2007, both ends of Mouton Noir incorporate a trademark attitude and personal perspective on wine subculture. The wines are unique and distinctive garage wines, initially created for some of the New York's best restaurants for whom Mack was a sommelier and now available nationwide. Mouton Noir apparel is inspired by WINE LIFESTYLE/STREET CULTURE of skateboarding, punk, and hip-hop cultures. The design is also reminiscent of independent skateboard company apparel of the 1990s. For more information please visit www.moutonnoirwines.com. Despite having a successful career with Citicorp Investment Services, André Hueston Mack decided to leave his “desk job” to pursue his passion for wine. While working as a sommelier in San Antonio, Mack discovered the joys of introducing guests to the little known vineyards that first attracted him to the business and “the instant gratification of a guest’s reaction.” While still in Texas, Mack was awarded the prestigious title of Best Young Sommelier in America by the highly regarded Chaine des Rotisseurs. This recognition propelled him into the opportunity to work as a sommelier at Thomas Keller’s world-renowned The French Laundry in Yountville, California. Mack went on to accept the position of Head Sommelier at Keller’s equally famed Per Se in New York City, where he managed a 1800 selection award-winning wine list and consulted with Chef Keller on menu and pairing development regularly. Winemaking has always been a dream of his and came to fruition when he set up shop under the moniker of Mouton Noir Wines. Throughout his career Mack has forged unique relationships with luminary growers and winemakers from around the planet. It is with this prestigious group that Mack currently creates his wines. 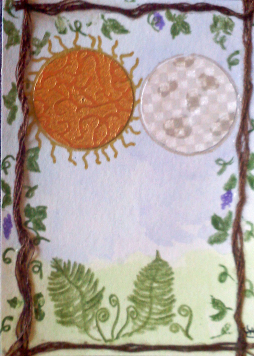 Life Force Arts' blog about Spiritual Art! LACDA Receptions and Artwalk, Thursday March 14!